SEO (Search Engine Optimization) is the process you are supposed to undertake if you want your website to rank highly in the search engine results pages. It is something you are supposed to do if you ever want to appear highly on the Google search engines results. And, there are a lot of things that can help you, such as linking from other sites and getting mentioned on social media and such. 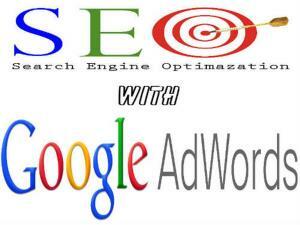 However, there are some people who believe that the AdWords tool may be used to improve a websites SEO. And, those people are correct; it can have a positive effect on your SEO. It is the first half of their affiliate adverting platform. An advertiser uploads an advert via this tool. The webmasters who sign up for the Google Adsense program will then have those adverts displayed on their website. The AdWords part is the bit that the advertisers are interested in, but it may also be used to help improve the SEO of a website. When you sign up for Google AdWords, you are given an account. This account is mostly populated with analytic graphics, visualization and raw data. However, part of the account/tool is made up as a way of trying to help you to create your adverts. There is a part that helps you build your campaign, and judge the price, set budgets, etc. There is even a tool that helps you to create just a text based advert, and this is one of the parts you should be interested in. As you are creating your advert, you will be presented with a tool. It is a keyword tool and it is very good. All you need to do is enter a keyword into it and it will come up with a lot of other suggestions for you. You will see a list of new keywords come out of the keywords too. If you have noted down the ones you think are good for your site, you can then enter some of those into the tool too in order to see what other keywords are available. You can use this function to figure out hundreds of different keywords which you may then apply to your website. You can apply them as many times as you like across hundreds of pages, as the keywords tool will allow you to keep mining keywords by simply entering more words into it. The keywords that come up will be in a list, but you can also research these keywords to see how much the other advertisers are paying for them on average. It is fair to assume that the ones that are being paid a lot for are more valuable. Therefore you could optimize your site for those keywords and it is almost as if you are bidding for them for free. 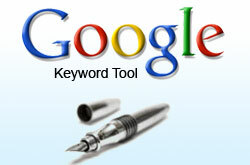 You may also see research about the keywords within the AdWords tool. This research will show you (in basic terms) if a keyword is often searched for buy users and if it is rarely searched for by users. This is going to help you figure out the popularity of the keywords. The more people know about you then the more chance that they are going to link to you organically. Therefore if you are running adverts on the AdWords system, then you are going to notice that more people link to you and your SEO gets better. You may have a bigger impact on social media if people are talking about your affiliate adverts. You may also notice that Google pays more attention to the pages that you advertise. These are your landing pages and you will notice that Google starts to index them. You may also notice that your landing pages will no longer be as obscure as they used to be. Their ranking may only go up a little but it is better than nothing. This post is written by Kate Funk. She is a professional blogger and writer at www.english-educator.com She specializes in topics of interest to techno geeks and networking enthusiasts. Good to see that @Kate Funk has done a guest post. you are going good bro. keep it up. Great tool. Google adwords is one of the most basic tool for keyword research. 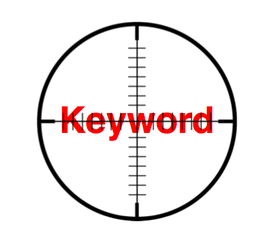 Keywords tool has always been the 1st choice of blogger to keyword research since there is not much alternative.